Hypothetically, black holes may be influenced by adjacent massive objects, such as galactic nuclei, accretion discs, or clouds of matter. Previously, it was believed that gravitational waves may scatter on these objects and form echo. The authors of the study provided a mathematical proof that such objects cause very weak echo or none at all. According to the calculations, for a conglomeration of matter to cause echo, its mass should be at least comparable to the mass of the black hole itself. However, there are usually no such heavy objects around black holes. If they were found, gravitational waves from such black holes would look differently even on the initial collision stages. 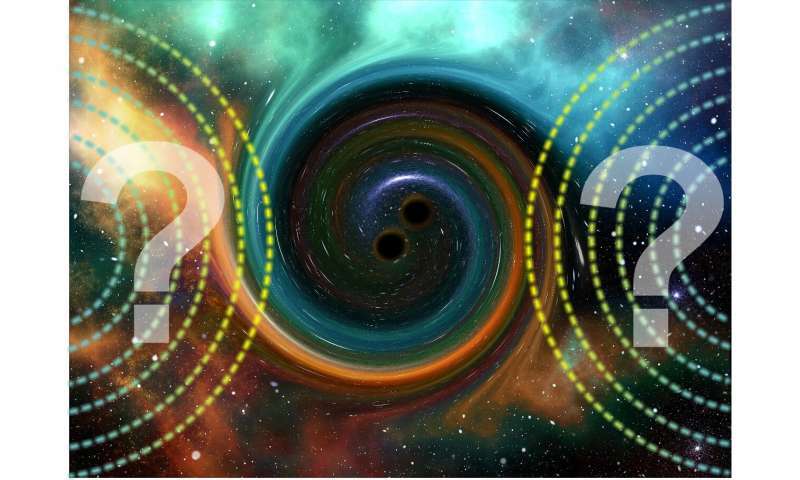 The second possible explanation might be specific boundary conditions on the surface of a black hole. To understand them, astrophysicists will have to reconsider their views on black holes, and it cannot be done within the existing GR framework. "We demonstrated that if the echo is registered after the final stage of collision, it would indicate not the existence of a certain massive object near a black hole, but a set of new physical laws describing the surfaces of compact objects," says Roman Konoplya, a co-author of the work, and a research associate of the Training and Science Institute of Gravitation and Cosmology at RUDN.